Belli questi outfit! Quello con il bomber di velluto poi è stupendo! I was hoping to see wher`s that sweater with flowers from?? Love them all, and shoes too, especially purple one! 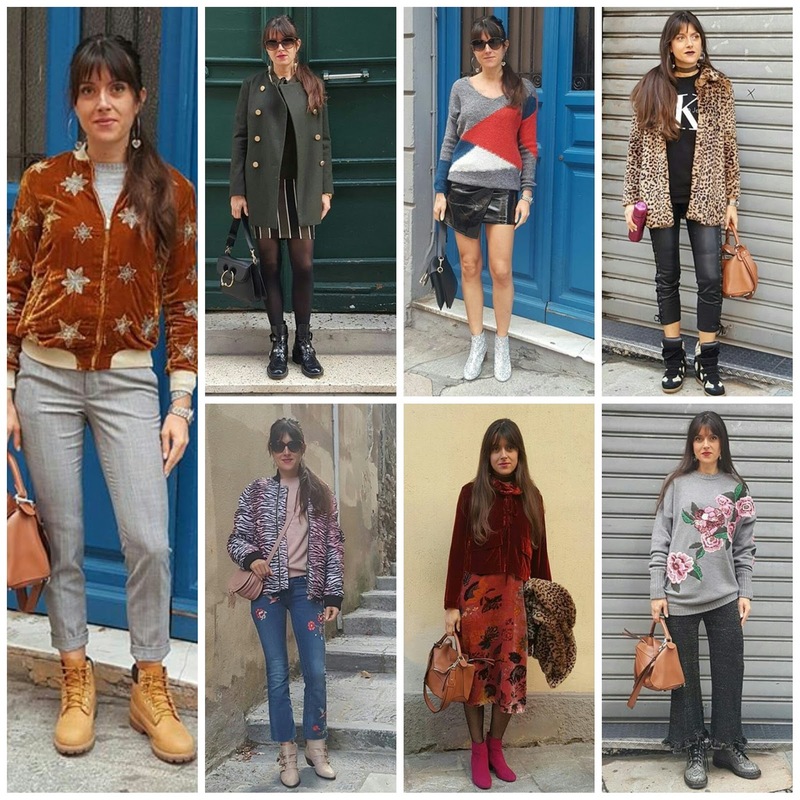 Carinissimo il bomber e quel maglione floreale!! Non sbagli un colpo tesoro, sempre super fashion!!! You have so many cute coats!! you always have a way with mixing patterns and textures! I really like how the asymmetrical black skirt goes with the sweater. The shapes mirror perfectly and it just works so well! love all the beautiful styles dear!!! Ti auguro una splendida giornata cherie! Le manteau militaire ! Je suis fan.